After brokering a partnership with Sony Pictures following the release of the under-performing The Amazing Spider-Man 2, Marvel Studios is preparing to bring Spider-Man to theaters with franchise newcomer Tom Holland (In the Heart of the Sea) in the lead role as the web-slinger himself, Peter Parker. But before the aforementioned reboot of the major Marvel character and stand-alone property reaches general moviegoing audiences, Holland will appear for the first time as everyone's friendly neighborhood Spider-Man in Captain America: Civil War next month. 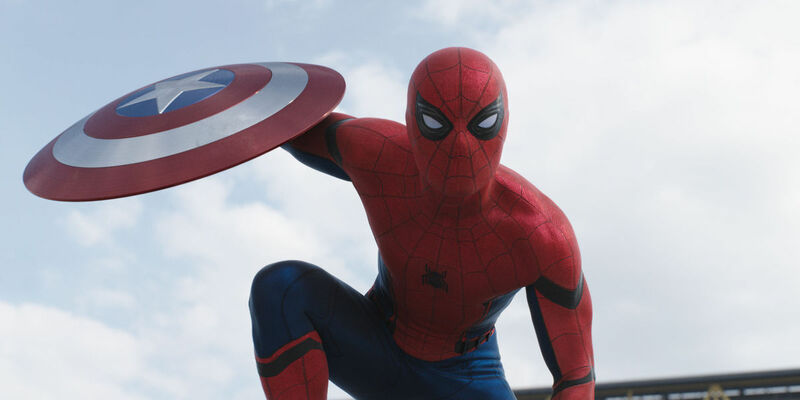 Ahead of Holland's big screen debut as Spidey in Civil War, acting Marvel Studios president Kevin Feige has already teased possible cameo appearances from other characters from the MCU in the 2017 Spider-Man film, as is being written by John Francis Daley and Jonathan M. Goldstein (Horrible Bosses, Vacation) and directed by Jon Watts (Cop Car). On that note, the latest information revealed on the behalf of Marvel and Sony places significant emphasis on the means by which the two studios will bring the character to life on the screen for a third time - namely, together. "We’re working very much [together]. It is a, I don’t know exactly what the credits will be, but it is a Sony Pictures production of a Marvel Studios film. The agreement was that it is very much a Sony Pictures movie. Amy Pascal is co-producing it with us and [Sony Chairman] Tom Rothman is leading the charge for Sony, and that we are the creative producers. We are the ones hiring the actor, introducing him in this film, and then working right now on the script and soon to be shooting the actual Spidey film." "There are events that made Peter who he was, and we’ll certainly allude to those events, but we’re much more focused on his future and how he continues to grow and have a steep learning curve after, certainly, the adventure he had in Civil War, on how to be his own hero." Following his introductory appearance in Civil War as a featured player in the larger MCU, Holland should find himself in a place of relative novelty in the role of Spider-Man, all of which might just result in the new Spider-Man being among the best theatrical adaptations of the character yet brought to the big screen. Until 2017, fans of Peter Parker will just have to get as much as they can out of Spidey's initialy introduction in the forthcoming third Captain America movie, and begin anticipating director Jon Watts' particular take on the MCU property moving forward. Captain America: Civil War will release on May 6, 2016, followed by Doctor Strange – November 4, 2016; Guardians of the Galaxy Vol. 2 – May 5, 2017; Spider-Man – July 7, 2017; Thor: Ragnarok – November 3, 2017; Black Panther – February 16, 2018; The Avengers: Infinity War Part 1 – May 4, 2018; Ant-Man and the Wasp – July 6, 2018; Captain Marvel – March 8, 2019; The Avengers: Infinity War Part 2 – May 3, 2019; Inhumans – July 12, 2019; and as-yet untitled Marvel movies on May 1, July 10 and November 6, 2020.